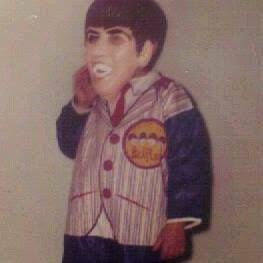 Meet the Beatles for Real: Trick or Treat! I still can't decide if these Halloween costumes were cute or creepy. never saw this before - what year? The love child of Ed Sullivan and George Harrison.